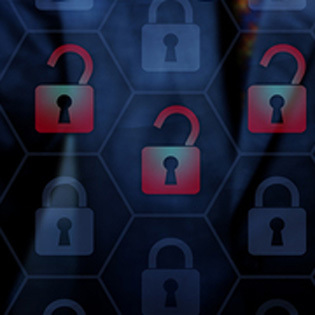 The legal industry as a whole has made great strides in ramping up its cyber defense. Lawyers have historically been regarded as slow adapters and way behind the times when it comes to adopting technological innovations, but it seems that the high profile data breaches that have made the news recently struck a chord. This article from the ABA Journal explains how BitSight, a cybersecurity ratings company, rated over 2,000 law firms and found that generally they were performing well at avoiding malware, adware, ransomware, and spam. However, that same article also points out the trend that law firms still seem to be susceptible to man-in-the-middle (MITM) attacks. If you don’t even know what a MITM attack is, you may want to keep reading. Think of a cyber criminal utilizing a MITM attack as a train hopper. Wherever you are online, be it at work, home or a public place, your computer or device is connected to a web server or router through a Wi-Fi connection. Your computer and the web server are the two train stations, and the connection between the two is the train. The hacker, through a variety of methods, will “hop” onto the connection and steal your data or log your keystrokes to get usernames and passwords. These types of attacks happen the most in public places where people do business on vulnerable Wi-Fi connections like a Starbucks or some hotels. Public Wi-Fi hotspots that don’t use passwords and see high usage are easy pickings for hackers, and it doesn’t take much for them to attack the vulnerabilities of these hotspots to gain access. But most people already know that unprotected public Wi-Fi connections are unsafe, but what they don’t know is that this attack can also happen in the safety of their own home. If your home’s network is manned by a poorly configured router, running on out-of-date software or protected with a generic or bad password, then you are at risk of a MITM attack. Remember, hackers don’t work nine-to-five – when you’re back home after a long day of work, they’re still on the clock and looking for a way to steal your information. Treat your home network with the same kind of scrutiny you (hopefully) treat your company’s network. There are a number of very simple things you can do to incrementally decrease your chances of being a victim of a MITM attack. As always, making sure your security software and firewalls are up to date and practicing strong password usage help with everything relating to cyber security. Also, try to keep your time spent on unprotected, public Wi-Fi as close to zero as you can, and don’t log into any important accounts when on it. If you want an enterprise-level solution that will discourage any and all MITM attempts, as well as any other forms of hacks, malware or spam, look into encrypting your data and applying two-factor authentication to your email, business and financial accounts online. Luckily for you, TOSS C3 offers all of these services and we even have a handy page where you can learn about how it will add an extra layer of security to your home or business network.